Gorgeous inspiration for stunning square shaped purple wedding cakes set over three splendid tiers! Light purple wedding cake idea. 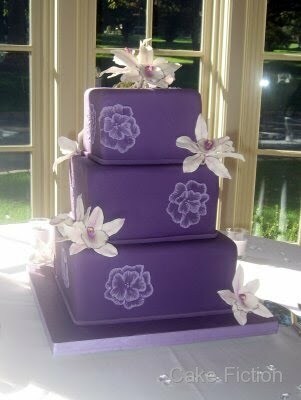 Gorgeous three tier square purple wedding cake with fresh flowers. 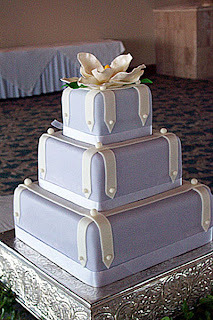 Dark purple wedding cake with white roses, white bows and quilted tiers. 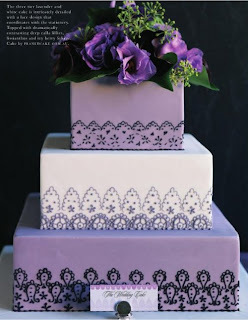 Beautiful velvety purple quilted tiers with calla lilies make up this luxurious wedding cake. 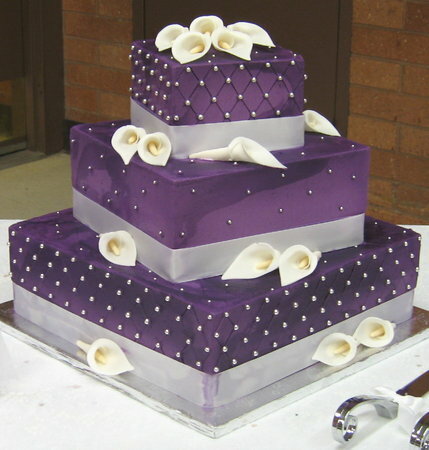 The cake is covered in a purple fondant, decorated with brushed embroidery flowers and additionally with sugar Cymbidium orchids. 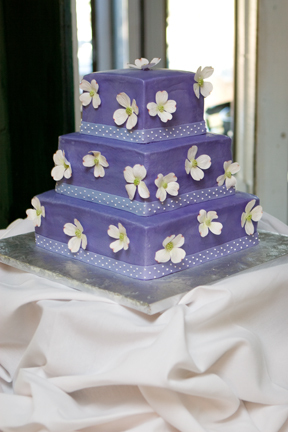 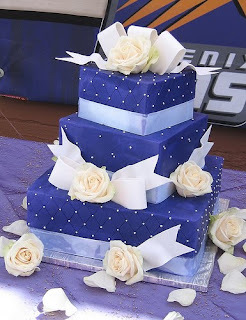 Square three tier purple wedding cake with cute white flowers.